When you shop at Bev Smith Kia of Stuart, you will quickly realize the Bev Smith Kia of Stuart Difference. To start things off, we guarantee that we have the best selection. If we don’t have the exact Kia you want, then your first month’s payment is free. We can give you a 10-minute quote on any new Kia vehicle complete with our lowest price, lowest down payment, and lowest monthly payment options. Beyond that, we guarantee that our price is the lowest. In fact, if you find the exact same car with a lower price within 48 hours, we will refund you the difference. Finally, we have our 100% satisfaction guarantee. If you are not completely satisfied within 48 hours of purchase, bring it back! 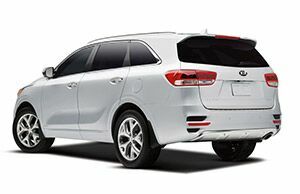 When you come to Bev Smith Kia of Stuart looking for a new Kia, we will impress and amaze. We have such a huge selection right here in Stuart that we can offer something to every type of customer. Whether you are looking for a sedan like the Optima or Forte, an SUV like the Sportage or Sorento, or something different like the Soul or Niro, we can put you in the driver’s seat. The Kia brand is astonishing in its own right. These cars are built with quality, backed by a wonderful warranty, and endowed with an astonishing array of features. On top of that, they are fun, stylish, and full of surprises. See for yourself at Bev Smith Kia of Stuart. Not looking for a new Kia? There’s so much more that we can do for you. In addition to our new inventory, we also have an extensive used inventory as well! Each one of our used models is carefully tested, inspected, reconditioned, and priced to ensure that you get the best car for the lowest price possible. Not looking for a car? How about service? When it comes to Kia service, we can tackle everything from an oil change to major engine and transmission repairs. We can also supply any parts or accessories that you may need. We can take care of all your automotive needs here at Bev Smith Kia of Stuart, just give us a call or stop right into the showroom today!